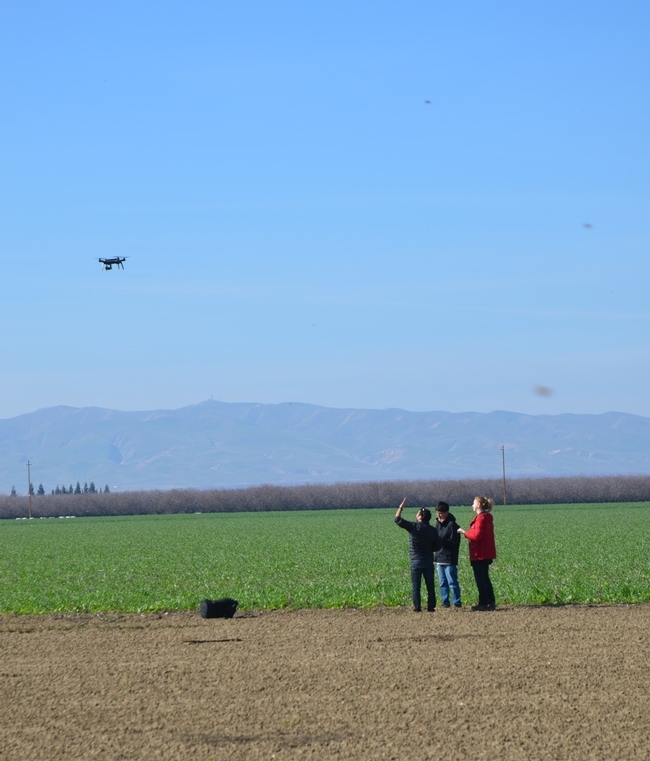 Dr. Samuel Sandoval-Solis and Hydrology PhD student, Alyssa DeVincentis, and two other graduate students from the Sandoval-Solis lab at UC Davis conducted a whirlwind visit of four farm cover crop fields and the longstanding NRI project field in Five Points as part of their reconnaissance survey tour of the San Joaquin Valley on Friday, February 5th. The group visited cover crop evaluation sites at the Five Points farm of Scott Schmidt, the Firebaugh farm of Alan Sano and Jesse Sanchez, the Madera farm of Kirk Texeira and Lucero Farms, and the pistachio orchard of Jacob Sheely near Lemoore. 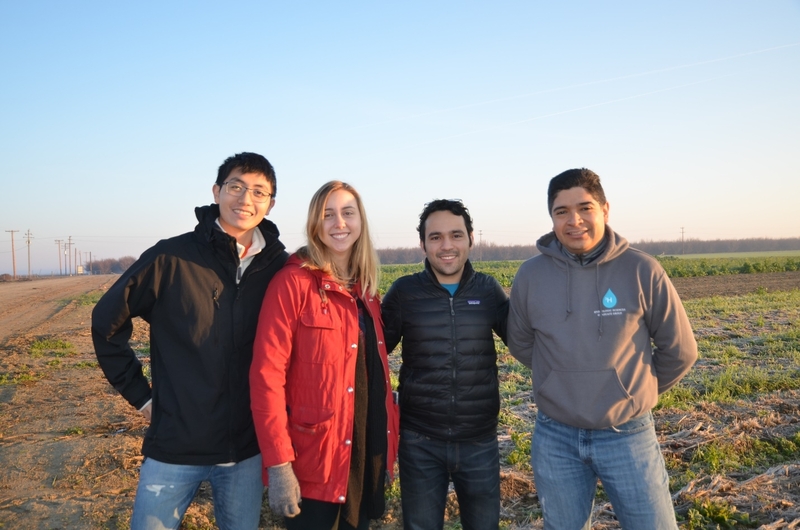 Alyssa and Samuel are part of a team that also includes UCD Hydrologist, Daniele Zaccaria, UC Merced Climate Change scientist, Tapan Pathak, UCCE Advisors Dan Munk, Gene Miyao, and Roger Duncan, and Jeff Mitchell, of UCD's Department of Plant Sciences. This team is conducting work to evaluate tradeoffs of winter cover crops with respect to soil water depletions, costs, carbon capture and soil improvement in a range of orchard and tomato production systems. A variety of data collection efforts are now underway including the use of soil water content sensors and dataloggers, neutron probe soil water content determinations, and commercial field ET measurement instrumentation that is also being installed at the study sites. The project began in the fall of 2015 and hopes to expand to additional sites that will be intensively monitored during the coming two years. Additional information on the preliminary findings for the 2015 – 2016 winter period will be available soon.